Inciting A Riot: Swag Updates & A New Draw! 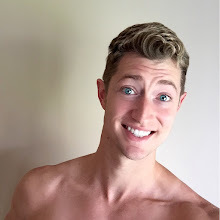 Swag Updates & A New Draw! Congratulations are in order for Alisa Sternfield! She is the winner of the first leg of our Summer Guilty Pleasure Giveaway! For her marvelous double entry, she wins a copy of the new bestseller Spellbound by Kelley Armstrong ! Alisa, that book will be shipping out today! Thank you for keeping the Riot running! Now to the new Swag Draw! 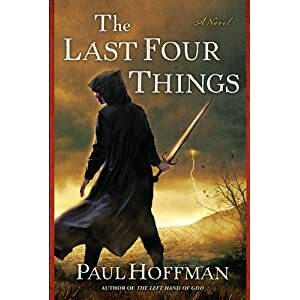 The next selection in our Summer Guilty Pleasure Series is The Last Four Things by Paul Hoffman . A military fantasy that mixes farce, black humor, and action that follows the events of Hoffman's wildly popular novel The Left Hand of God . Make a donation to the show. One of the ways I say 'thank you' to those generous Rioters whose donations keep the Riot running is with an automatic entry into all Swag contests. Donations of any amount can be made via the PayPal Donate button. Buy something. With a purchase of any item in either the CafePress.com Swag Shop or my new Etsy Shop, you also get an automatic entry! Just remember to let me know about your purchase! Send in your Top 10 Guilty Pleasures List. Your top 10 books, movies, pagan authors, anything! What are YOUR guilty pleasures? Email them to IncitingARiotPodcast@gmail.com for an entry! Rate the show. Rating the show on iTunes is a great way to increase visibility for new listeners! Head over to iTunes and turn some of that love for the Riot into some stars! (How about 5?) Let me know you rated the show for another entry! Remember, you get one entry for everything you do! (Up to 5 entries!) The swag draw will run until mid-September, so get those entries in fast! Oh...did I forget to mention? There will be TWO winners in this Swag Draw! Yep, I have TWO hardback copies of Paul Hoffman's The Last Four Things to give away! Your chances are better than ever! I would love a roast. Can't wait to hear it!